As the winter season continues, it’s important to be careful when traveling in snowy weather. Accidents can still happen when there is lots of ice and snow on the ground, even if you are careful and take precautions. 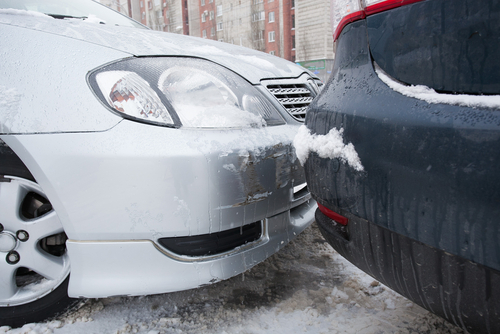 The following guide explores how attorneys can help both plaintiffs and defendants navigate the murky world of Texas snow accidents. As a property owner, it’s important to make sure that the roads and sidewalks on your property are free of snow and ice at all times. If you live in a private home with private roads and sidewalks, you can still be legally liable for injuries if a visitor hurts himself or herself while at your house. To reduce the risk of this happening, it’s a good idea to place salt on all paved sidewalks and roads when it gets cold. If this isn’t a feasible option for your property, there is an alternative. You can also place no trespassing signs at all points of ingress to your property. No trespassing signs can relieve you of some of the legal liability that can be caused when people injure themselves on your property. If you have found yourself injured as a result of a slip and fall accident, it’s important to document everything that happened as quickly as possible. If you have a smartphone or other electronic device with a camera, make sure to document the area where the accident took place as thoroughly as possible. Make sure to get photos or video footage of the sidewalk or road where the accident took place. Do not add verbal commentary to the clip. Verbal commentary can actually work against a plaintiff in some situations. However, it’s a good idea to take written notes or to dictate separate audio clip using an audio recorder on your smartphone. Make sure to note if salt has been laid out on the road or sidewalk. Regardless of whether you are the plaintiff or the defendant in a case like this, do not admit fault. Never apologize. An apology can be used as evidence of liability during a court case. If you need a personal injury attorney in Houston, contact Sigmon Law PLLC to find out your legal options.